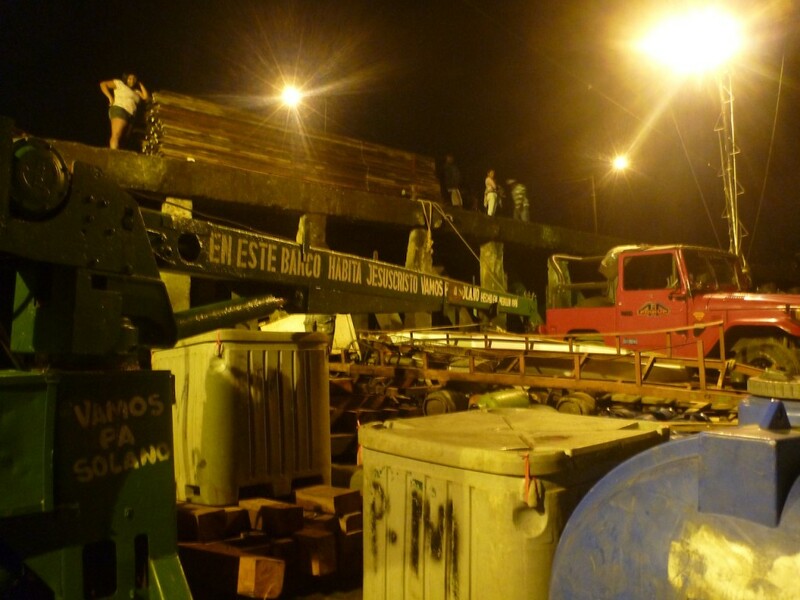 The Renacer Del Pacifico still sitting on the ground in Bahia Solano, waiting patiently for the tide to rise. 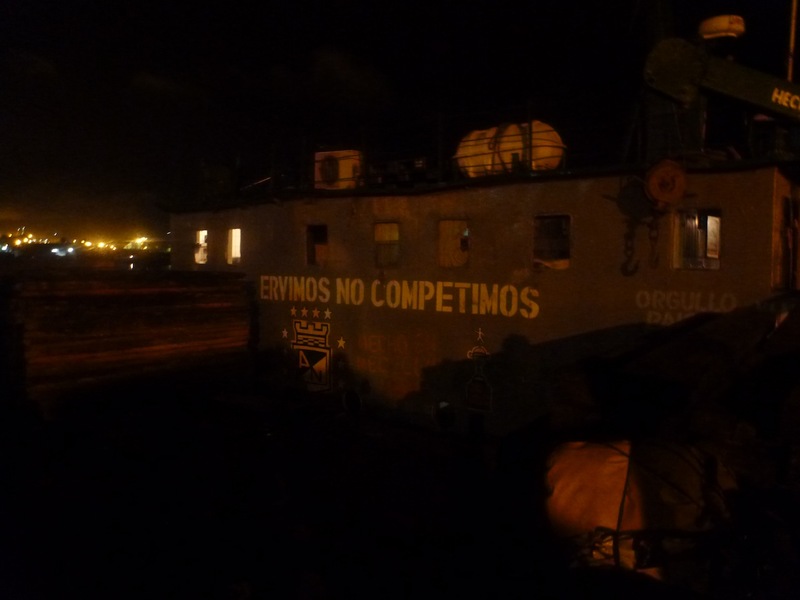 After nearly a week at Playa Almejal, Tony and I rode back to the docks at Bahia Solano to board yet another cargo boat that would take us the rest of the way to Buenaventura, Colombia. 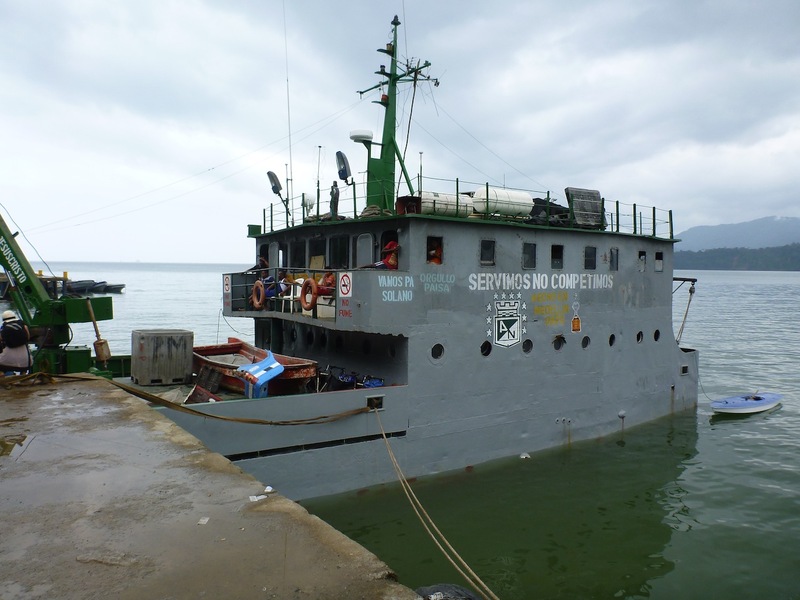 I had called Oscar, the owner and boat captain of the Renacer del Pacifico (Rebirth of the Pacific) earlier in the week, and he had assured me that the boat would be ready for boarding 1 PM Friday. The Renacer del Pacifico was a much larger steel version of La Victoria with access to the roof. 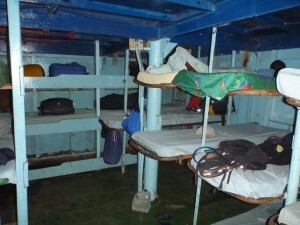 The $77 ticket, included 3 meals a day, and a bunk for the 30 hour journey down to Buenaventura. 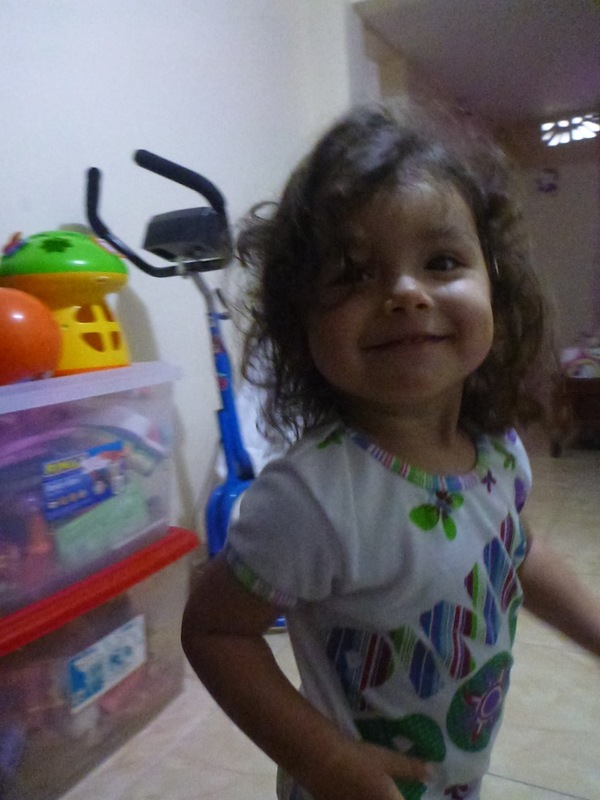 The food was simple: rice with fish or rice with chicken with agua de panela for a drink, and the cots were stacked three high and squeezed in right next to each other so one had to crawl in via the end, but all in all after La Victoria, none of us were complaining. 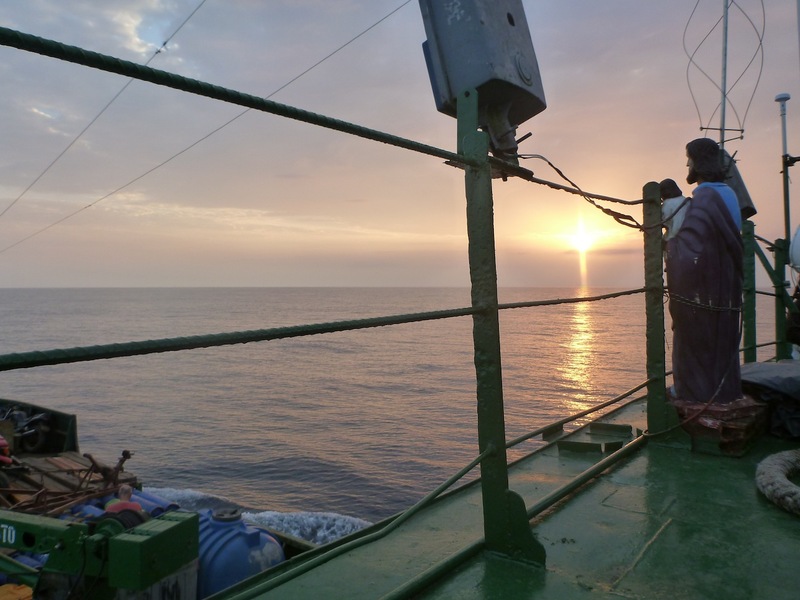 It was a slow boat, and we made about 6 knots on the perfectly flat pacific water. The calm that evening was eery as we slowly putted our way along the desolate, forgotten coast. 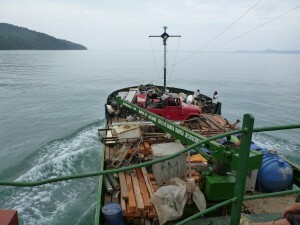 During our entire journey we would see only one other boat sharing the waters with us. 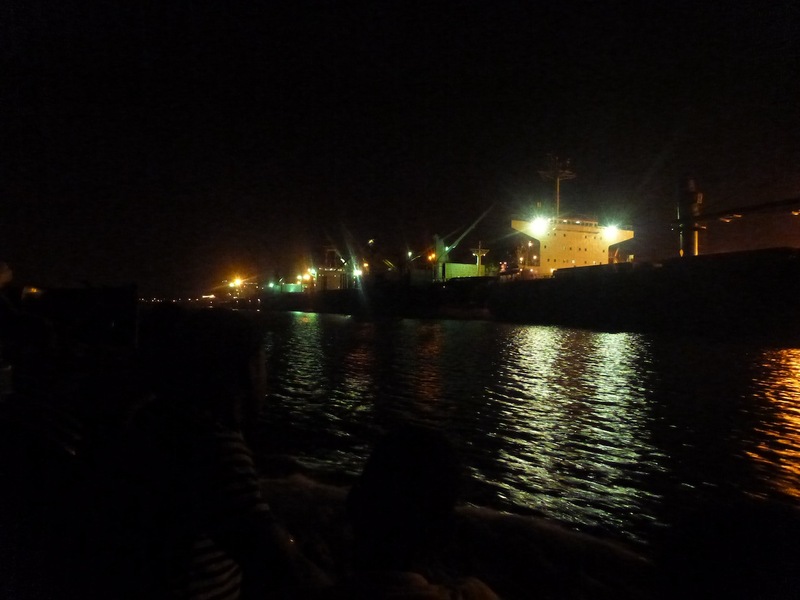 When we did finally arrive at the inlet that leads up to Buenaventura, suddenly we were on a shipping lane, and as we made our 6 knots we were continually passed by a stream of large container ships and tankers. We were arriving after sunset, and to our surprise we watched as not one, not two, but nine fancy looking passenger ships slipped by us one after the other, heading out to the open ocean. 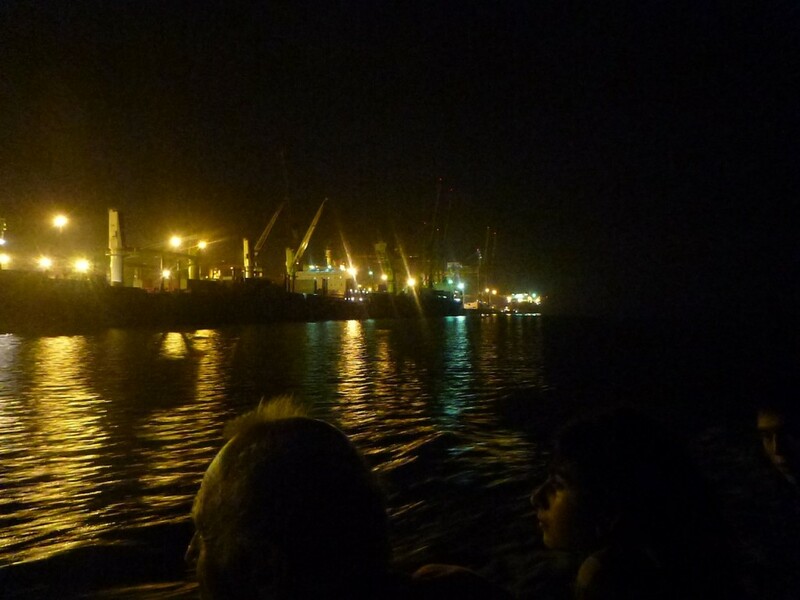 The passenger boats were are lit up bright as day and some of them looked like luxury yachts, but behind them in their wake – blacked out and almost invisible – followed a small navy patrol boat. Most of the passengers on our boat seemed to think they were drug mules, but a little more digging revealed that they were passenger ships heading south, to the villages south of Buenaventura and onwards to Ecuador. There had been a few instances of attacks on this route, so now the passenger boats traveled in convoy, escorted by the Colombian military. 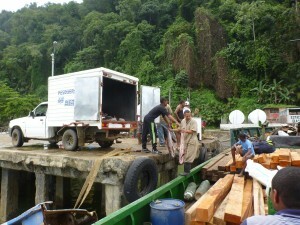 Buenaventura is a big, long, and very important port. 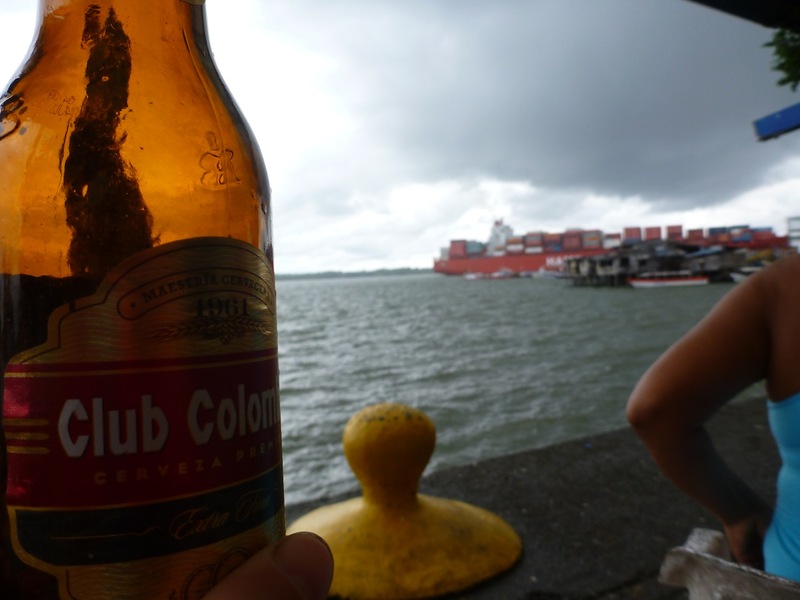 In fact, it is Colombia’s only port on the whole of it’s pacific coast and pretty much the only settlement on the coast that you can drive to. 24 hours a day, 7 days a week, thousands of trucks (called tractamulas here) continue the endless task of transporting containers to and from Buenaventura along the sinuous, mountainous road up to Buga and then on to other parts of the country. So as we drifted into the port and past the docks and cranes, we felt dwarfed by the large ships towering over us despite the fact that the Renacer is no tiny vessel. It took us hours (at 6 knots per hour) to pass all the high real-estate docks and silent giants before we finally arrived at the very end of the inlet at a dock in disrepair. Captain Oscar finally cut the engine. We’d arrived. We’d arrived, but we couldn’t leave yet. 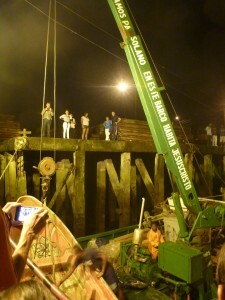 It was 11 pm and low tide, so the dock level was about six meters higher than the deck level of the boat. It was almost comical, with everyone out on the deck, ready to arrive, eager to get off the boat, and then not being able to. Although some passengers piled into the lancha and gondolad over to a bank they could climb up, most of the passengers opted to sleep on the boat that night and wait for high tide at 4:30 am the next morning. 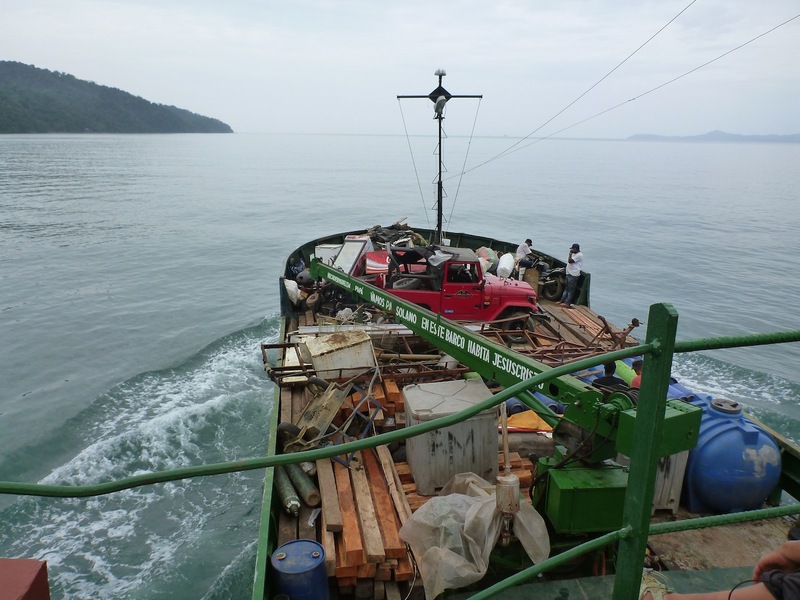 Early the next morning, we woke up to the noise of the boat crane lifting the captain’s jeep off the boat and setting it back down on dry land. We were still about 2m lower than the dock level so Ally and Glenn had to take all the bags off our bikes and chuck them up to me one bag at a time, before passing the bikes over. 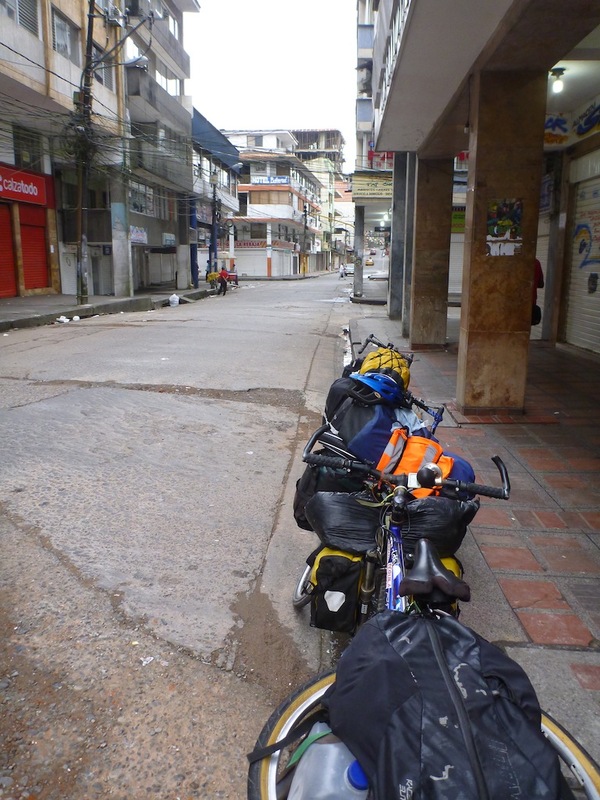 We were finally on dry land in Colombia with a road the led onwards to the rest of the country and South America. 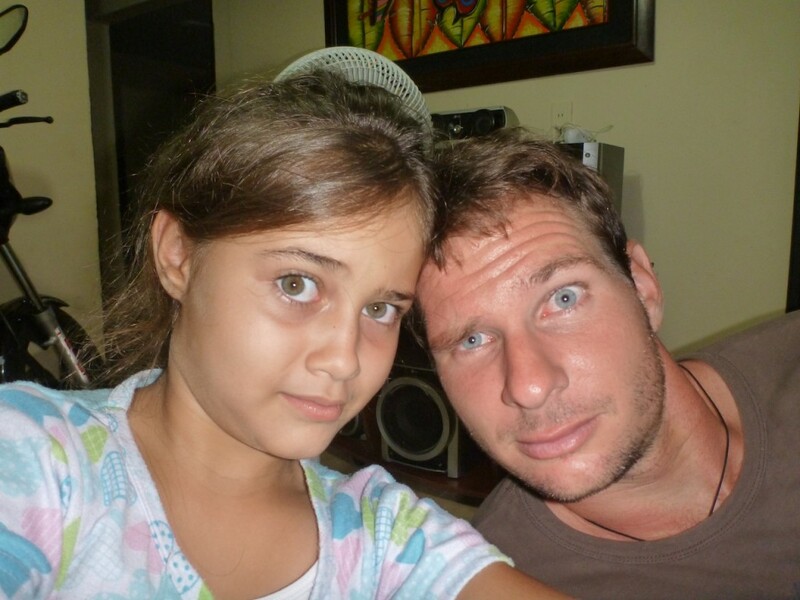 It had taken us a week and half but we had finally made it to Buenaventura. From here I would visit an old friend before riding up to Cali and then turn left to Medellin while Ally and Glenn would ride up to Cali and turn right to Ecuador and Argentina. 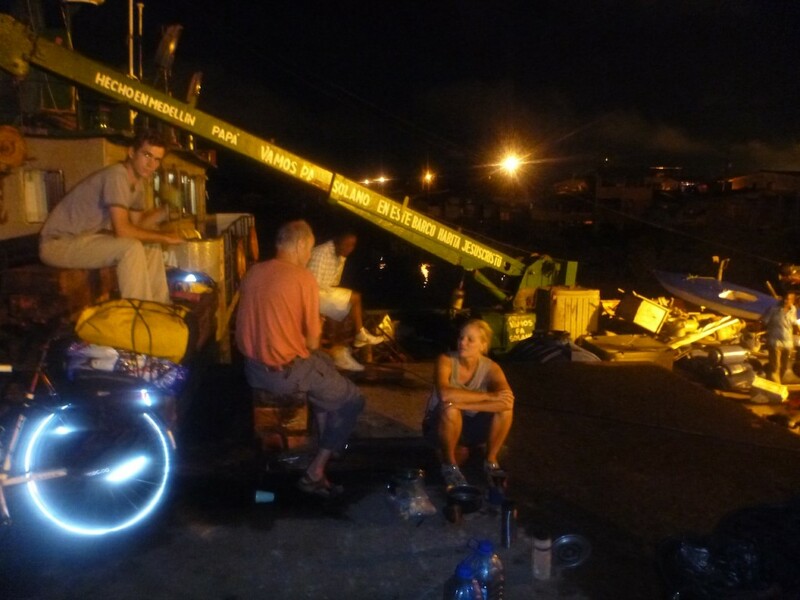 It was still dark though, so we did what most touring cyclists would do at 5am in the morning on a backwater dock in the most dangerous city in Colombia: we got out a camp stove and made some coffee. The sun would rise on it’s own time. As we sipped our coffee and patiently waited for daylight to arrive, I found myself looking at the various signs painted on the Renacer. ”Vamos pa’ Solano” (We’re off to Solano) and “Servimos no competimos” (we don’t compete, we serve) had been cute little catch phrases when we were boarding the boat in Solano, but now that the Renacer was no more than little flea on the backend of a huge container port I realised just how important this boat is to the community of Bahia Solano and El Valle and indeed the whole of the Pacific Coast. Being only one of two cargo boats that make the run, she is the veritable workhorse of the Pacific. 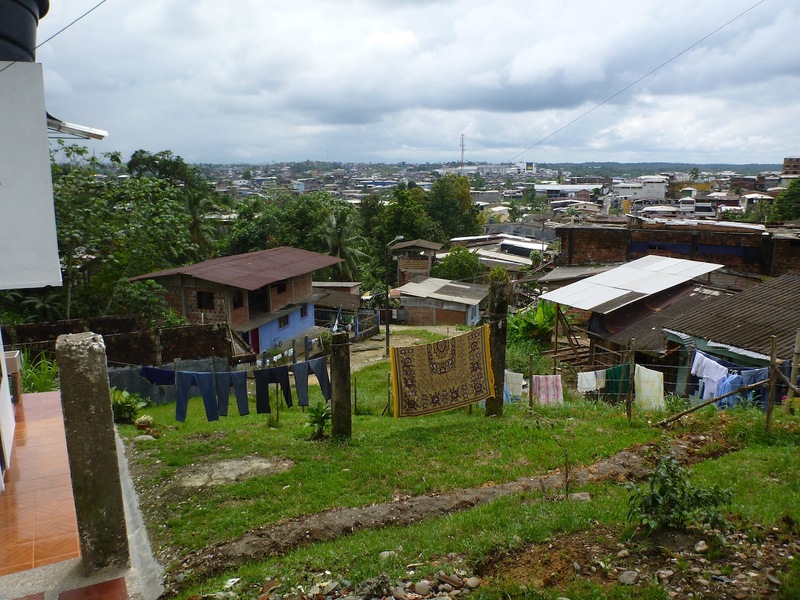 Buenaventura is not considered a safe place by even Colombia standards, but let’s not forget that people choose to live there, so it can’t be all bad. I was visiting an old friend of mine who is from there, so I wasn’t exactly wandering around the streets looking for drug lords and stray bullets. No, instead I spent most of my time hanging out with my friend’s 9 year-old and 2 year-old daughters. 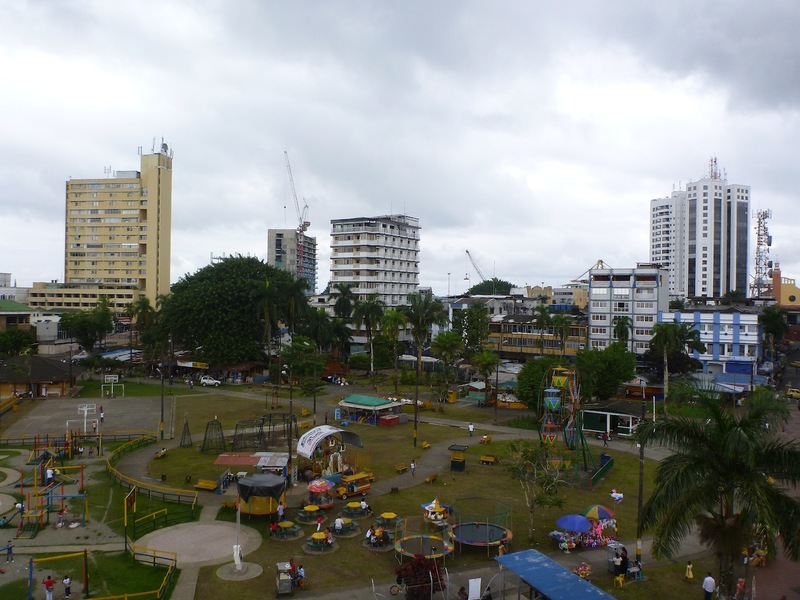 True, a small bomb went off in the centre of the city during my stay there, but all-in all Buenaventura was a place much like any other. 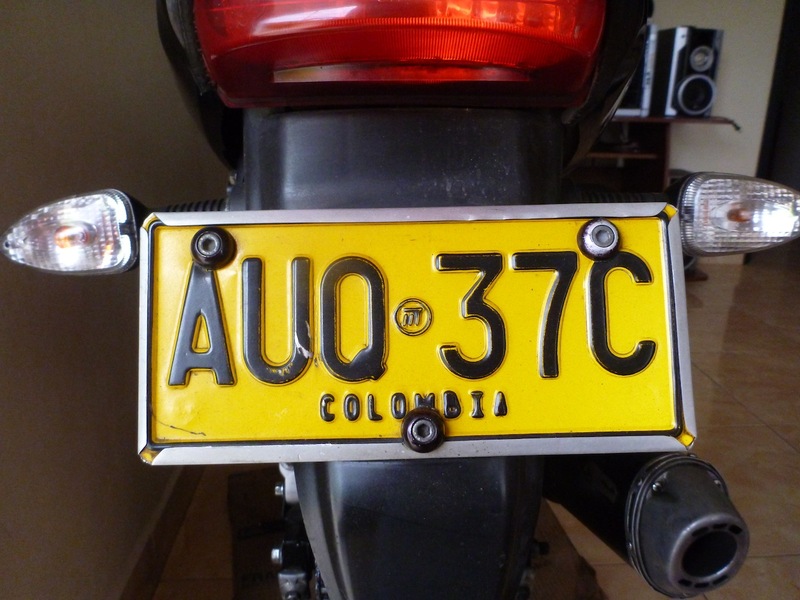 It’s poor, and it’s ugly, but it’s still “black colombia” and along with that comes a tangible passion for life in the air. After nearly a week there though, I decided I had imposed on Juan David’s incredibly hospitality long enough, so Tony and I took the only road out of town and began our long slow climb into the mountains. Into the Andes that its.